Yes, the actual game never looks this good. That's how it's always been with Gran Turismo, and it's how it will be with Gran Turismo 5. Just think of these as great pictures and we'll get along just fine. 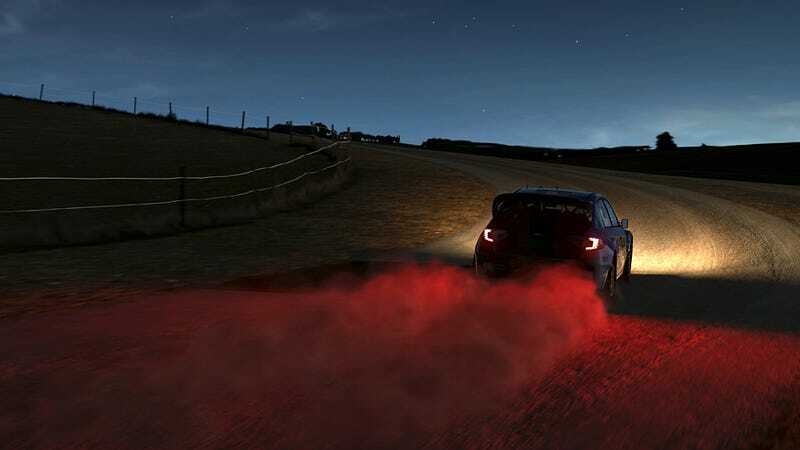 These shots highlight the game's Italian and Spanish tracks, the Top Gear test track from the famous BBC TV show, damage modelling, flips and the new "day to night" transition and lighting effects present in Gran Turismo 5.